The Crest’s visionary design brings together timeless elements to create a single, balanced architectural statement. The landmark design is a mix of art deco, modern and classic styles that will appeal to connoisseurs. Tall towers rise up from the sprawling 8.822 acre (35701 Sq. Mt.) site with dramatic flair. The architectural design ensures that you are cocooned from the noise of the bustling city, making The Crest your private oasis. Marvel at the grandeur of the vast double-height entrance lobby which is adorned with carefully selected material and furnishings–from the stone floors to the hardwood accents and plush furnishings. As a special security feature, shuttle elevators from the basement can only access the ground floor lobby. Visitors are screened by trained personnel before proceeding via high-speed elevators to the apartment floors. There are separate service elevators and an exclusive service landing for support staff. No culture has left its influence on the world more than the Egyptian culture. Its past can be traced to the Great Egyptian Civilisation. As the time passed it grew both in size and wealth under the stewardship of its ambitious Pharaohs. One of the areas they left their mark was architecture. Cleo County seeks its inspiration from the rich built heritage ofancient Egypt. The project itself has been named after one of the most beautiful woman of the time, the name that still stirs passion, Cleopatra. 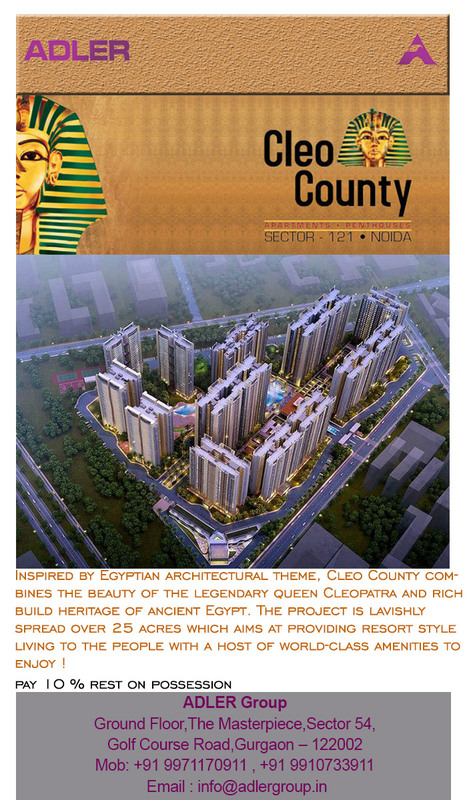 Cleo County combines the beauty of the legendry Queen and blends it with the Egyptian architectural theme. As an architect the challenge was to blend ancient with the modern—to synergise seamlessly the Egyptian theme with contemporary lifestyle, while imparting the entire development with an international aesthetic. Christopher John Shugg Architect Surbana – Singapore The central idea behind the master plan is amalgamated integration. To achieve this we delved into our architectural roots and taking cue from there, we planned the complex as a blend of 3 courtyards with ample natural light and ventilation. Buying a Luxury Home is probably the biggest purchase you’ll make in your life. Our Experts will give you Free, unbiased advice on buying and choosing the right luxury home for you. Contact Us Now and Get Attractive Deal for Cleo County. A Grand Sphinx EntranceEnter into the majestic world of Egypt through a magnificent sphinx entrance that leads to a grand double height lobby and enjoy the all the beauty and luxury Cleo County has to offer you. A Grand Club for a Royal LifestyleThe club includes a host of facilities like the Spa, Gym, Steam & Sauna, Jacuzzi, Restaurants, Mini Home Theatre and temperature controlled Indoor Swimming Pool so that you can indulge in a completely resort style living! Cascading Swimming Pool with Sky BridgeIndia’s Ist five level cascading outdoor swimming pool for a relaxing and enthralling dip in the pool. A Synergy of Egyptian Theme and Contemporary LifestyleEnjoy the lavishness of the Island Court surrounded by mesmerizing water body to calm your soul and senses. Experience peace in the Palm CourtTake a stroll in the evenings amidst nature’s beauty surrounded by palm trees and enjoy the outdoors. Never seen before themed landscaping in India!The Mist Garden exudes of coolness and freshness. It will instantly boost up your energy levels and your mood after a tiring day at home or work ! Egyptian Theme Based LandscapingThe Giza Court offers a sense of privacy with sheltered spaces amidst the outdoors. Ideal for group gatherings, it is surrounded by natural beautiful elements which act as an added oomph factor. The Beautiful Garden of 5 SensesThe Pillar of 5 Senses lets you interact and explore the picturesque outdoors. It provides you with an option to enjoy the serene quietude that surrounds Cleo County. A stunning and delightful arrangement of features; that is the notion behind the landscaping of the complex. We have assimilated a lot of Egyptian themes into making this project one of its kind in India. Golf your time away !Cleo County offers opportunities to play Golf – The Game of Kings. For convenience and conveyance there are golf carts for ferrying. For all the cricket enthusiasts !Hone your cricketing skills be it batting, bowling or fielding with the cricket net practice. Here you’ll find courts of all types !Be it Basketball or Tennis Courts, Cleo County has them all. For all the fitness and sports fanatics, it provides gaming options right in the comfort of their homes. For the ones who are always pro-active !Indulge in exciting programmes and contests with your loved ones and make full use of the Amphitheatre at Cleo County. Games Arena for the KidsThe campus has a separate play area for toddlers and kids so that they can spend their evenings playing away joyfully ! Retail Spaces for Residential PlacesThe commercial mall is a part of the most prestigious residential project, Cleo County, situated in Noida. 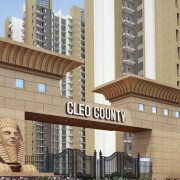 It will provide all the basic necessities and lifestyle products to the residents of Cleo County under one roof only. Get Solar Power Expert Advice on What You Need to Know If you are planning to install a solar power system in your home or business. A properly installed solar electric system can drastically reduce or even eliminate your electric bills altogether and it’s a low risk investment with some very high returns. Solar is actually more affordable than ever. And, with the State and Federal incentives available, payback time is shortened so solar simply makes a lot of sense. From adding value to your home or business property to protection from PG&E’s rate increases to even creating a positive cash flow, going solar is a smart financial choice from almost any vantage point you view it. Solar energy is just smart energy for your pocketbook. 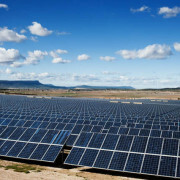 Solar is clean, green, unlimited and the fastest growing energy resource in the world. The environmental benefits of going solar are abundant but some of the most important include reducing air pollution, cutting the need for more fossil fuel power, combating greenhouse gases and decreasing your carbon footprint on earth. You can power your home or business with pure sunshine, cut your costs and feel a little better about your part in mending the environment and your community. Using solar power is a tangible way for homeowners or business owners to generate energy that is environmentally safe and rewarding. The idea of owning your own energy as opposed to renting it is one of the most appealing ideas to consumers looking to go solar. When you install solar, you gain freedom from the utility company and full control of your energy future. With solar, your home or business can become fully energy self-suficient. Every hour, the sun above you radiates more energy onto the earth’s surface than the human population can use in an entire year. The sheer abundance of power available from the sun is mind-boggling when you really sit down and think about it. And thanks to the generous incentives and tax credits available as well as innovative financing solutions, energy independence has become more affordable than ever before. Going solar is helping to make America as a whole, energy independent. 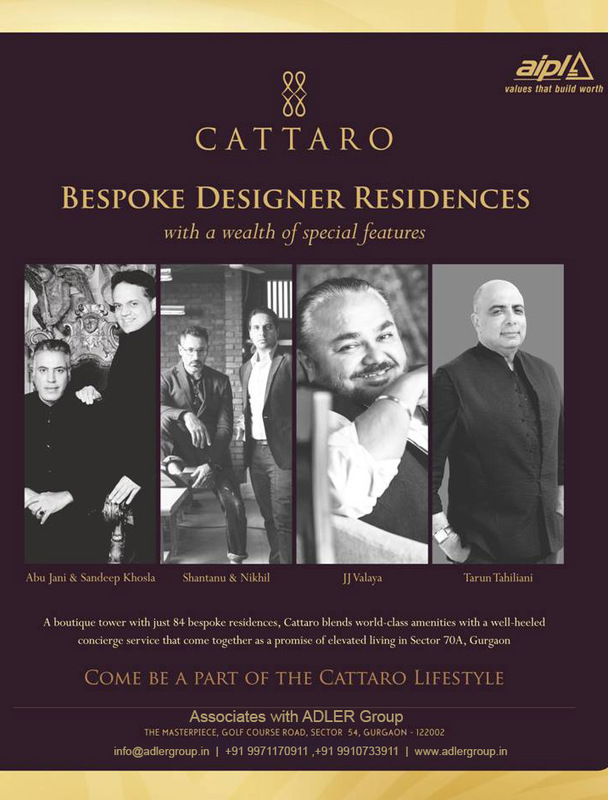 AIPL present you another incredible creation “Cattaro” life without compromise, in sector 70A, Gurgaon spread over a wide space with full justice to perfection, quality, innovation to put forward the excellent space to discover the happiness all the time. 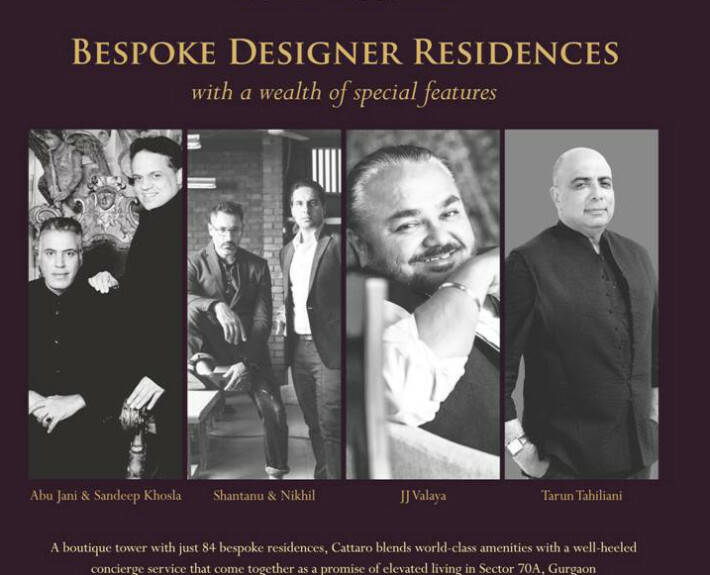 Right intermingle of 3 & 4 BHK apartments, 24 floors tower and its tribute the greatest legends of design and plan. Water-ponds in front for the live environment with lush greenery to imbibe the fresh air all the time. Loaded with modern amenities followed by gym, spa, changing room, meditation space, lush greenery, swimming pool etc. for the better lifestyle. The limited number of families here will enjoy everyday and bring the massive happiness & joy each time. This complete family place will grant you the right pathway to live an ultimate life and walk around to the best things every week or every day. 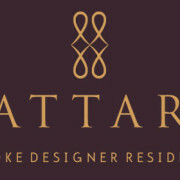 Since its inception from 1991, they have been delivering the quality and unique space to summarize all the needs together and offer the new space for easy and comfortable life with the luxury touch. Cattaro is conceptualized in a right way that each one feel like home and use the place in the best possible way for spare benefits. 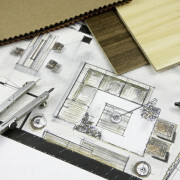 We all have a vision for our dream home, but often lack the creative talent to bring it to life. Interior decorators bring with them expertise, contacts and a trained eye to devise solutions that not only reflect your lifestyle but are aesthetically pleasing as well. Together with their professional opinion, their expertise, and their relationship with various artisans and vendors, you can create a home that is as beautiful as the homes in your favorite glossy interior magazines. Firstly it is important to understand the difference between an interior decorator and an interior designer. If you are only looking at adding aesthetic appeal to your house, with furnishing, colors, wall patterns and window treatments, then you need an interior decorator. An interior designer can also help create beautiful spaces, but their expertise extends to making structural changes in your house to complement your lifestyle, ensure optimum usage of space, set the desired mood and complement the home’s architectural features. 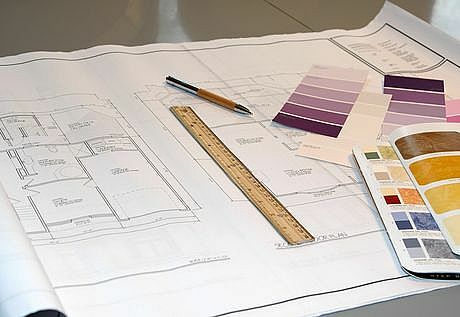 An interior designer usually has a degree and is typically required to be certified. Both interior designers and interior decorators create beautiful and functional spaces but it is important to assess your needs before deciding which one to hire. It is essential that you check the designer’s education, experience, past projects and other related credentials. Reviewing a designer’s portfolio will give you a feel of their style and experience doing projects that are similar to yours. Additionally if you can see any homes that the designer has worked on, you will be able to get an up-close and personal taste of the finished product. References from clients will also help you ascertain if the designer has remained within the budget and time-frame allotted to him/her. Before you start working with a designer, it is essential to finalize a budget and discuss the same with your designer to see if he/she can work within your limits while ensuring quality. At this stage you can also discuss your designer’s fee structure and any other additional charges to ensure that there will be no surprises at the end. Experts often suggest leaving a 20% cushion in your budget for unexpected changes such as new purchases that you may want to make. It is important that the designer is able to adapt his ideas to suit your vision and your budget. 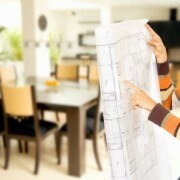 Choosing an interior designer for your home can be a tedious and time consuming process. However you must take your time selecting the designer most suited for your needs, as a wrong designer can lead to a decor disaster. Next Generation Solar Energy Solutions . State of the Art Solar Power Technology Integration. At ADLER Interior Designing we don’t just design offices for today, we optimise space for the future. We know what’s around the corner for the workplace and use this expertise to create flexible and effective office environments for present and future workers. By creating office spaces that encourage collaboration, inspire creativity and allow for concentration, different generations can work together happily and productively. In a nutshell, we design spaces that make a real difference to our clients’ businesses. With offices in delhi gurgaon, our teams know all there is to know about workplace planning, from office interiors, design and office fit-out to furniture. We are partners with few of the world’s leading office furniture companies who are at the forefront of future workplace trends. Which means we can provide the latest in office furniture. If you want to optimise your space and create an effective working environment that’s built to last get in touch today. Out of the box interior designing ideas. Designers in ‪#‎delhi‬ ‪#‎gurgaon‬ ‪#‎noida‬ ‪#‎faridabad‬ ‪#‎ncr‬ ‪#‎india‬. Contact Us! ADLER Solar Power is India’s leading independent solar power producer and offers clean and affordable solar energy to its customers with zero upfront cost and operational expenses. ADLER Solar Power’s vision is to prove that solar energy is the most affordable and reliable power generation source for forward-thinking power consumers. The basic purpose of ADLER Solar Power is to be the lowest cost producer of solar power in the world. By providing solar energy as a service, ADLER Solar Power manages the entire project process for its customers, reduces costs of generating electricity, and provides long term predictable pricing. 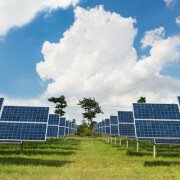 ADLER Solar Power has several projects operating under various policies for grid connected, rooftops and off-grid systems in the country and has invested significant capital in its operating facilities in India. ADLER Solar Power’s team has decades of experience building industry-leading companies, executing complex infrastructure projects, and financing high-growth enterprises. From concept to fully-functioning power plant, we have completed the fastest construction of a private utility-scale solar power plant in India. ADLER Solar Power has continuously demonstrated its cost leadership and continuous push towards grid parity for solar power in India. ADLER Solar Power has one of the largest portfolio of operating solar projects with a strong pipeline and hence continues to demonstrate its commitment to inclusive growth through clean energy generation for grid connected, rooftop and off-grid initiatives pan India. ADLER Solar Power has created a historic first success for private investment in renewable solar power generation in India. ADLER Solar Power enables sustainable economic growth fuelled by clean solar power for its customers. ADLER Solar Power’s plants are generally situated on community land that generates income and more reliable power for the local community. ADLER Solar Power’s unmatched world-class execution capabilities and experience makes it the best proposition for customers. 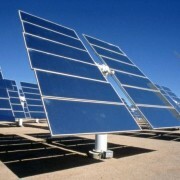 We design, finance, execute, operate, and maintain high quality solar power plants. Turnkey solar installations for commercial and residential complexes on roof tops, as back up and alternate source. Credentials: ADLER Solar Power has a project operating under every major policy in the country. It has the longest operating history of solar power plants across various states in India. Affordable: Through continous research and development, ADLER Solar Power has outperformed the market and brought down cost of energy by 54.15% duringa the period “2010-2012”. Reliable: A blend of technology and highly experienced Operations and Maintenance team ensures flawless operation of the installed systems. Our existing plants have continuously demonstrated an uptime of 99.9%. Scalable: Our solar systems are easily extendable. As the requirement for clean and reliable power grows, we will expand the production of solar energy. We are one of the first to demonstrate a private solar park with initial capacity of 5MW extendable to 50MW. ARE you planning to redecorate your home this year? If so, you will be looking for interior design tips and inspiration. Here we ask the experts for their top trends for 2015. The consensus among designers is that rust and blue will be big this year. There will be nothing jaunty and nautical about the use of blue, however. This is moody blue. Our designer thinks blue will continue to evolve, “becoming a warmer colour, making it more acceptable as a neutral, especially when paired with exotic greens and yellows”. Old-fashioned bathrooms are in vogue — or, rather, they are no longer old-fashioned. You can get contemporary bathrooms everywhere, which may be why some people are returning to the period-style look. The Victorian-era bathroom, with freestanding roll-top bath, wallpaper, wood panelling or tiles on the wall, and a tapestry carpet on the floor, is the ideal. Most newbuild homes have an open-plan kitchen-living area, so it makes sense to make the kitchen look more like a living space, otherwise it can seem you are camping out in the kitchen. People (are) moving away from the ‘white glossy box’ look and more towards a kitchen with character and personality, shown through beautifully unique materials such as unusual woods, metallic cladding and statement marble.” Even taps will get more attention, with preferences for matt black, bronze and brass. Do your walls look nondescript? Then wood panelling — another key trend — could be the answer. After all, the Georgians, who were expert at wood panelling or wainscoting, knew how to make a house elegant. The real stuff is expensive so if you are on a budget you have two options: buy reclaimed panelling or create your own. Create two by four square using planks of timber and paint the wood and the walls. You could also try tongue and groove on the ceiling. Malachite looks set to be the new marble. This semi-precious stone is commonly used in jewellery and to make decorative boxes. Its attraction lies in its colour — a rich emerald green — and its pattern — swirling bands of light and dark tones. Not only does it offer an intense colour for interiors that continues on from the deep blues we have seen this year, it also presents a wonderful, organic print. Want to make your kitchen look less sterile? Introduce some warm metallics. Copper-covered worktops, although it is a nightmare to keep looking shiny, looks really great.For a more understated look, go for bronze. You could add smaller details, such as door hinges and handles, or kitchen taps. At Adler Group we ensure you get the best service and advise for your interior designing project .Call us today for your free quote and find out the difference.